We are pleased to announce the 2018 faculty promotions. We are proud of these individuals for their passion and dedication to their commitment for the mission and vision of the Department of Surgery. 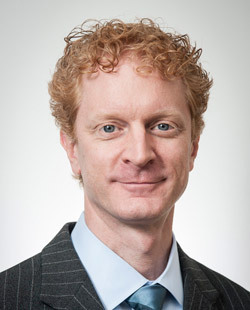 Dr. Davidson is the Section Chief of Emergency General Surgery at the University of Washington Medical Center (UWMC). 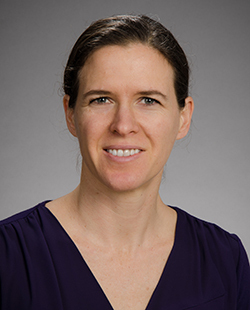 She is a health services researcher at the Surgical Outcomes Research Center (SORCE) and Adjunct Associate Professor in Health Services in the University of Washington School of Public Health. She obtained a Master of Public Health degree in Epidemiology as a National Institutes of Health (NIH) T32 fellow where she focused on the long–term outcomes of acute care surgery and trauma patients. In 2013, she joined Washington State’s Comparative Effectiveness Research and Translational Network (CERTAIN) focusing on improving quality for patients during transitions of care and comparative effectiveness research for acute care surgical patients. She is the principal investigator of a multidisciplinary collaborative, Improving Nursing Facility Outcomes using Real–Time Metrics (INFORM), which focuses on bridging hospitals and Skilled Nursing Facilities in the care of patients. She is a NIH–funded investigator examining patient reported outcomes in diverticulitis management and is the Clinical Coordinating Center Director and Co–investigator for the Patient–Centered Outcomes Research Institute (PCORI) funded pragmatic randomized trial for appendicitis, leading the clinical operations for the Comparison of Outcomes of Antibiotic Drugs and Appendectomy (CODA) trial at 18 sites across the United States. She serves on the Healthcare Patient Safety and Quality Improvement Research Study Section for the Agency for Healthcare Research and Quality. In her leadership roles, she is the UW Medicine Medical Director for Post–Acute Care and readmission reduction program and an Associate Medical Director at the UWMC. Dr. Davidson is the Young Surgeons Representative and Counselor for the WA State American College of Surgeons and serves on the Board of Directors for The Aurora Commons, a Seattle area nonprofit focused on harm reduction interventions. In her spare time, you can find her at the beach on Whidbey Island or racing her husband and two second graders down a ski hill. Dr. Goldin is a surgeon in the Pediatric General and Thoracic Surgery Division and practices at Seattle Children’s Hospital (SCH). He is highly regarded for his surgical care at SCH and is regularly recognized by referring physicians, staff, and patient families as a compassionate, conscientious, and technically–exacting surgeon with excellent clinical judgment. Dr. Goldin has been a member of the task force committee that developed the Optimal Resources for Children’s Surgical Care. This multi–disciplinary group that included leaders from every national organization with a role in the surgical care of children, wrote the definitions, based in some significant part by Dr. Goldin’s published research. That task force generated a consensus document published in the Journal of the American College of Surgeons that clarified what resources an institution should have to safely and effectively provide pediatric surgical care. As an extension of that work, he has been asked to serve as a Clinical Advisor to the Children’s Hospital Association on their Hospital Value Study. Dr. Goldin has also played a leadership role in incorporating pediatric–specific surgical conditions in Surgical Care and Outcomes Assessment Program (SCOAP). Through that platform, he also helped initiate a state–wide program called Safe and Sound, aimed at reducing the use of CT scanning for the diagnosis of appendicitis, through increased use of ultrasonography. This initiative included pediatric surgeons, general surgeons, radiologists and ER physicians from around the state, and is successfully decreasing the exposure of children to CT radiation. Dr. Goldin served as Vice–Chair of the American Pediatric Surgical Association (APSA) Outcomes and Evidence–Based Practice Committee from 2015–2017, and has been an active member of the APSA Research Committee and the APSA Surgical Quality and Safety Committee. Dr. Goldin received his MD from Rush Medial College, Chicago and earned his MPH at UW. Dr. Keys is a plastic surgeon in the Division of Plastic Surgery and practices at Harborview Medical Center (HMC) and the VA Puget Sound Health Care System (VAPSHCS). She provides reconstructive surgery options for conditions ranging from trauma to chronic wounds. Her focus is in the reconstruction of complex wounds, including lower extremity open fractures, sternal and spinal wounds. Dr. Keys collaborates with surgeons from Urology, Orthopedics, Burn Surgery, Neurosurgery and Trauma Surgery to provide comprehensive care and reconstructive solutions to complex problems. In 2014 she was promoted to Chief of Plastic Surgery at the VAPSHCS as well as Director of Surgical Wound Care at HMC. She serves as Associate Program Director of the Plastic Surgery Residency Program and on national committees for education and for women in plastic surgery. She and her family enjoy camping, music, bicycles, and reading. Dr. Petersen is a board certified general surgeon who specializes in advanced minimally invasive gastrointestinal surgery. 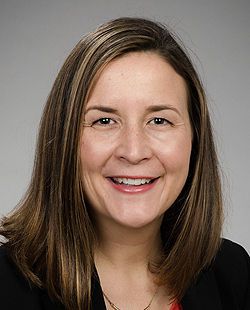 She has been practicing at the UW Medicine Hernia Center since its inception in 2012 and serves as an Associate Program Director for the General Surgery Residency Program. Dr. Petersen attended Oregon & Health Sciences University Medical School and during this time she also received a Master of Science in Epidemiology at the Harvard School of Public Health. She went on to complete her general residency training at Duke University Medical Center. As part of her surgical training she also completed a two year research fellowship in thoracic oncology and participated in clinical research in surgical oncology. Following her general surgery residency, she completed a minimally invasive fellowship at UWMC. Dr. Petersen’s clinical interests include: advanced laparoscopy, gastrointestinal disorders, complex abdominal wall hernia repair and reconstruction, in addition to inguinal, femoral, sports and hiatal hernias. 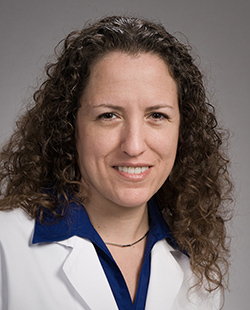 Her research efforts have focused on surgical outcomes and quality improvement, gastroesophageal reflux disease (GERD), paraesophageal hernias, and achalasia. Dr. Pham is a general surgeon, educator, and clinical researcher. He attended the University of California at San Diego for his undergraduate and medical degrees. Following his general surgery residency at University of California, Davis, he completed his burn, trauma and critical care fellowships at UW. As a member of the UW surgery faculty since 2007, Dr. Pham became director of the UW Regional Burn Center in 2018. His clinical practice at HMC focuses on the acute care of burn–injured patients. He has developed protocols to optimize and standardize the care of burn patients. He leads telemedicine development for the burn center, with initiatives in pre–hospital, in–hospital and post–discharge care. He also is an intensivist for the Trauma Surgical Intensive Care Unit at HMC. 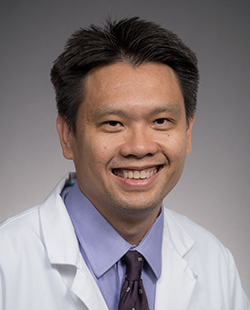 In his educational role, Dr. Pham serves as the Assistant Program Director of the Burn Surgical Critical Care Fellowship, where he oversees the burn and critical care track. His primary research efforts focus on injury in geriatric patients and improving care access via telehealth. He leads research projects to define factors that influence clinical outcomes as part of the HMC geriatric injury workgroup. He is also lead investigator in a trial that evaluates in–home rehabilitation post–injury through the Northwest Regional Burn Model System. Dr. Quiroga is a vascular surgeon at Harborview Medical Center. She performs a wide range of vascular procedures, and has especial interest in the care of vascular trauma, complex aortic surgery, peripheral vascular disease and dialysis access. She earned her MD from the Universidad de Buenos Aires in Argentina, and completed her training in general surgery in Argentina and at UW. She then completed her Vascular Surgery Fellowship at UW. She is the Associate Program Director for the UW Integrated Vascular Surgery Residency and Fellowship Programs and she received her Master of Public Health this past summer. Dr. Quiroga plays an active role in promoting diversity, equity and inclusion in the Department of Surgery and the UW School of Medicine. 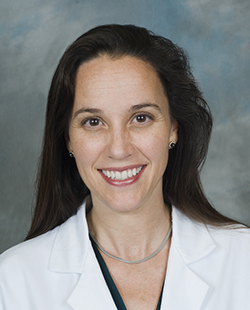 Her research interests include disparities of care in vascular surgery, especially in the Latino population, and also focuses on outcomes of vascular trauma, ruptured aneurysms and improving surgical education and worldwide, especially on methods and conditions relevant to low and middle–income countries. Dr. Shalhub is a vascular surgeon, clinical researcher, and educator. She completed training in general and vascular surgery at UW. During her general surgery residency, she also completed a two–year T32 post–doctoral research fellowship in trauma and critical care research under the mentorship of Dr. Grant O’Keefe, Professor, Division of Trauma, Burn & Critical Care Surgery. 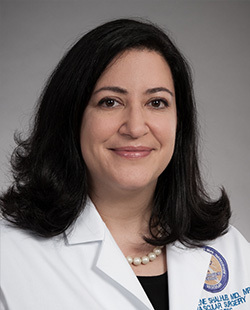 Since joining the faculty in 2013, Dr. Shalhub has been clinically active in all aspects of vascular surgery, although her primary clinical interests are in aortic surgery and dialysis access. She is the director of the multidisciplinary vascular genetics clinic in collaboration with Dr. Peter Byers. Her clinical practice is at the UW Medical Center. Dr. Shalhub’s research focuses on patients with rare vascular conditions leading to aortic and arterial aneurysms and dissections. Her current work bridges clinical and genetic risk factors and patient centered outcomes. She has received funding support from the Patient–Centered Outcomes Research Institute (PCORI) and the National Center for Advancing Translational Sciences of the National Institutes of Health (NIH). She recently established the Vascular Ehlers–Danlos Syndrome (vEDS) Research Collaborative, an international network of stakeholders to direct the research needs for patients with vEDS. Her other academic pursuits are centered on advancing the careers of the next generation of physicians. Dr. Sibulesky is a 2001 medical school graduate of Tufts University School of Medicine, Boston, MA. She completed her general surgery residency in 2006 at Brown University Rhode Island Hospital in Rhode Island. She went on to complete fellowships in multi organ transplantation at Beth Israel Deaconess Medical Center in Boston and then at the Mayo Clinic in Florida. Dr. Sibulesky’s clinical interests include transplantation of liver, kidneys, and kidney–pancreas. She has academic interests in medical education and she oversees training and education of medical students and residents in her role as Director of Resident and Medical Student Education in the Division of Transplant Surgery. She also plays an active role in training of the transplant surgery fellows. She has served on the national American Society of Transplant Surgeons’ Curriculum Committee developing and implementing the National Transplant Surgery Fellowship Curriculum. Her research interests include clinical outcomes research. 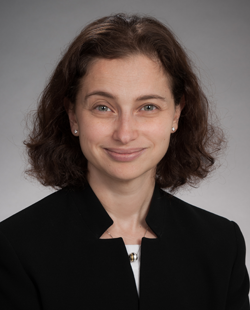 In collaboration with her transplant colleagues and the Clinical and Bio–Analytics Transplant Laboratory (CBATL), Dr. Sibulesky has extensively published and presented at national meetings on the utilization of Public Health Service increased risk donor organs and Hepatitis C virus positive donor organs. Dr. Smith is a cardiothoracic surgeon in the Division of Cardiothoracic Surgery and practices at UWMC. Since joining the Division in 2012, Dr. Smith has been involved in resident teaching and has served as a faculty proctor in UW Medicine’s WWAMI Institute for Simulation in Healthcare (WISH) simulation lab and developed several modules that aim to teach residents how deal with surgical emergencies, maximize and carefully select and match donor organs to recipients, and manage and trouble shoot patients on advanced mechanical heart support. More recently he developed a detailed manual of operative management for heart assist devices and heart transplantation with a detailed companion algorithm of perioperative management. Dr. Smith has additionally made significant research contributions. His areas of interest are diverse and span from programmatically promoting complete revascularization in high–risk interventions (CHIP), to improving utilization of lung transplant recipients in both pediatric and adult donor allographs, to systematic expansion of donor selection criteria. Dr. Smith serves on numerous UWMC committees as well as several critical national committees and councils including the national Donor Heart Selection & Management Consensus Conference and the Mechanical Circulatory Support Scientific Counsel of the International Society for Heart and Lung Transplantation (ISHLT). He is the chair of the Alternate Heart Transplant List Working Group as well as chair of the Donation after Cardiac Death Heart Transplant Research Group. Dr. Smith completed his undergraduate studies at the University of Texas and after working as a paramedic for 5 years, went on to complete his MD degree at Stritch School of Medicine of Loyola University. He completed his general and cardiothoracic surgery training in Loyola University and went on to an additional fellowship in cardiothoracic transplantation at Stanford University before joining our faculty at the University of Washington in 2012. 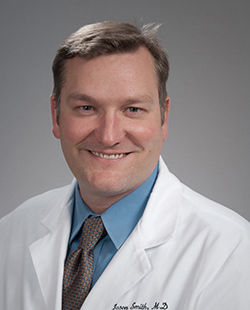 Dr. Wright is Director of Surgical Services & Hernia Center at Northwest Hospital and also a provider with the Center for Esophageal and Gastric Surgery at UWMC. His clinical interests are in hernia, abdominal wall reconstruction, and management of esophageal and gastric disease. Much of his non–clinical time is spent in WISH, where he works on improving patient safety. He is also director of the UW Advanced Gastrointestinal and Minimally Invasive Surgery Fellowship and 4NE Medical Director at UWMC. Research interests include surgical simulations, protocols for enhanced recovery after surgery, and outcomes following hernia and esophageal surgery. 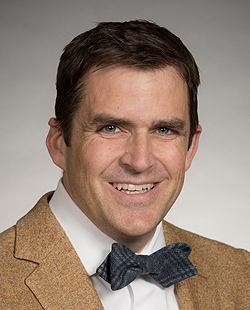 He is nationally recognized as a leader in the use of social media for surgical education, and is actively researching how this impacts both surgeon and patient perceptions of new technology. He can be followed on Twitter at @andrewswright.